The NOCOLOK® app has received a facelift. Straightforward design, ease of use, adaptation to the current branding – the NOCOLOK® App has been thoroughly revised and in the handling improved. All NOCOLOK® products and tools are easy to find, as are the packaging and packaging options. 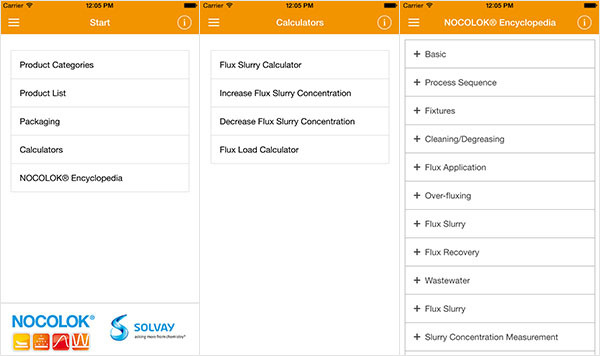 Calculators for flux load and flux slurry assist by speedy calculation of amounts and concentrations. A real reference book for all technical terms is the NOCOLOK® Encyclopaedia. New are the topics flux paints and pastes. 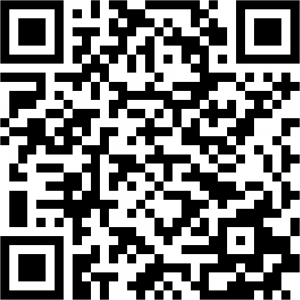 The update is automatically displayed – upload the new version of NOCOLOK® app on your smartphone. 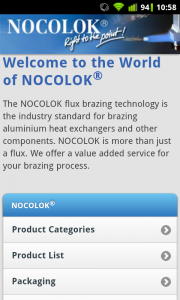 You don’t know the NOCOLOK® app yet? Then it’s time you did! 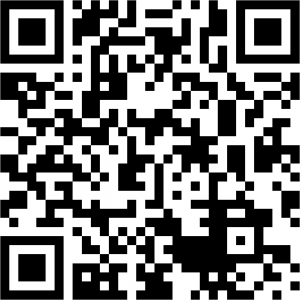 Solvay Special Chemicals bundles all the information on aluminium brazing in a smartphone App. The NOCOLOK Flux-App puts all the information you need for your day-to-day business right where you need it – at your fingertips. 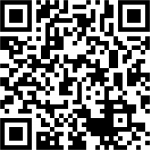 Now the NOCOLOK App is available for BlackBerry smartphones in the BlackBerry World. This is another logical move in Solvay Fluor’s strategy of providing a full service on all aspects of aluminium brazing for all users. After iOS and Android now the app is ready for BlackBerry in version 2.111. Your BlackBerry device needs min. the Operating System 7.1.0 or higher. The App boasts a detailed product overview of all NOCOLOK fluxes and ancillary products, as well as their physical properties and GHS classifications. From brazing, welding, soldering, powder coating to perfect corrosion protection: the App lists the packaging units, together with their weights, dimensions and a picture to simplify the selection of the required product. But the real highlights of the application are the calculators – which really help your day-to-day routines: the “Flux Slurry Calculator” calculates the amount of NOCOLOK Flux needed dependent on the number of litres required and the concentration of the slurry. Two additional calculators for increasing or decreasing the slurry concentration are available too. 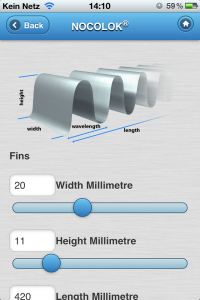 The “Flux Load Calculator” calculates the surface of a heat exchanger and the amount of flux required for the welding process. Additionally detailed answers on fundamental aspects and special features of aluminium brazing with NOCOLOK are provided at a touch by the “NOCOLOK Encyclopaedia”. 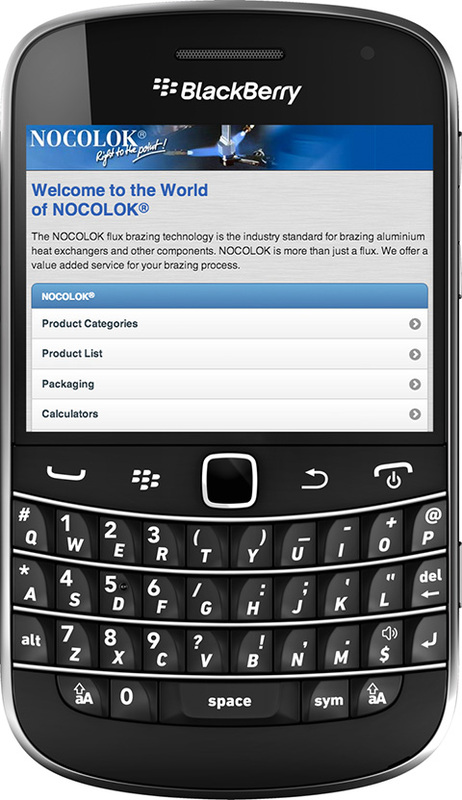 The App is dedicated for users handling aluminium brazing, flux, solder, brazing alloy and CAB. 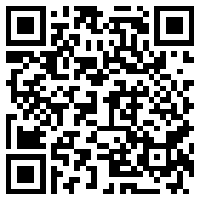 Please scan the QR-Code with QR Code Scanner.